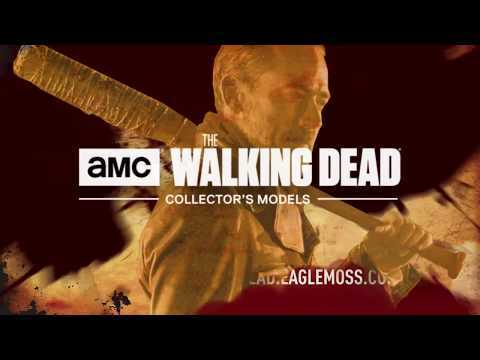 AMC's THE WALKING DEAD® Collector's Models is the ultimate collection for the TV series' fans and collectors alike! Plus new characters from upcoming seasons! Exclusively from Hero Collector by Eaglemoss. Learn the secrets of the world of THE WALKING DEAD® with the exclusive Collector’s Character Booklet, coming with each new release. The character booklet explores the background of the featured figurine. Every Collector’s Model is the result of a painstaking process that combines detailed research, artistic endeavour and extensive consultation with AMC. Read about the character’s history, including their life before the apocalypse and the forces that drive them to survive in a world that has gone to hell. Examine the key events that helped make the characters into the people they are today: their conflicts, their victories and their moments of realisation. Satisfaction guaranteed. Cancel anytime. No questions asked.